COMMERCIAL GRADE OUTDOOR STRAND LIGHTS- Bathe your patio, garden, or pergola in a warm glow to set the mood for an evening of fun and laughter outdoors. 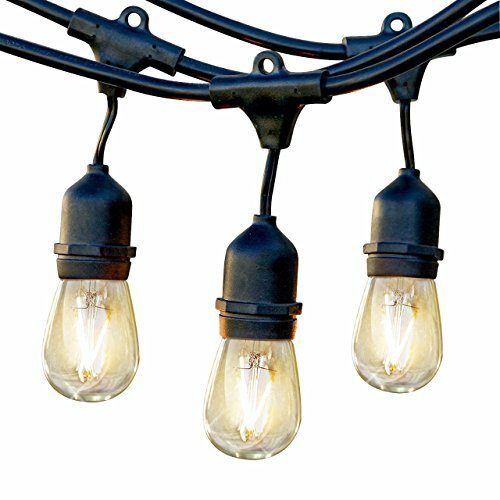 The novelty of these heavy duty LED string lights will cast a spell over neighbors and friends at evening events like parties or reunions. Mesmerize your guests with the nostalgic aura of the exposed Edison style bulb filaments. Ambience Pro makes your backyard feel more like a splendid outdoor café!